So far, the seemingly endless rains of June have kept us from packing the car, heading to a lake and pitching a tent; but we haven’t given up hope. Weather permitting, we’ll have our summer solstice camp out again, perhaps just in the back yard, with dinner over the open fire. Then later in the summer we’ll camp for real: fish for our dinner and sleep deep in the forest. It’s our favourite family activity in summer for nine years and counting. The weather generally dictates how much food we consume during a 2-day camping trip. 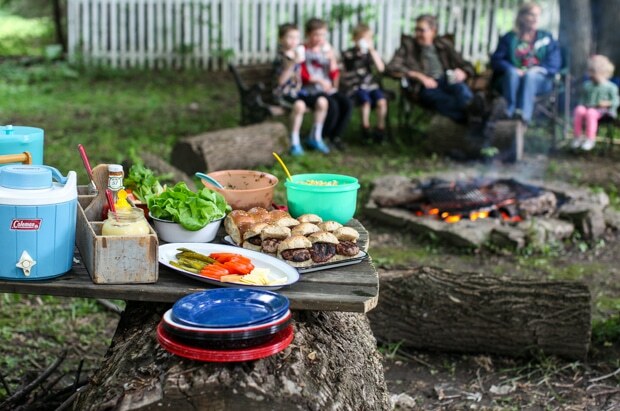 If it is gloriously sunny and we are busy hiking trails or swimming, food takes a backseat until about six in the evening, when we regroup around the campfire and devour a hearty dinner. On the other hand, if we are cold and damp, much time is spent stoking the fire and eating our way through provisions. 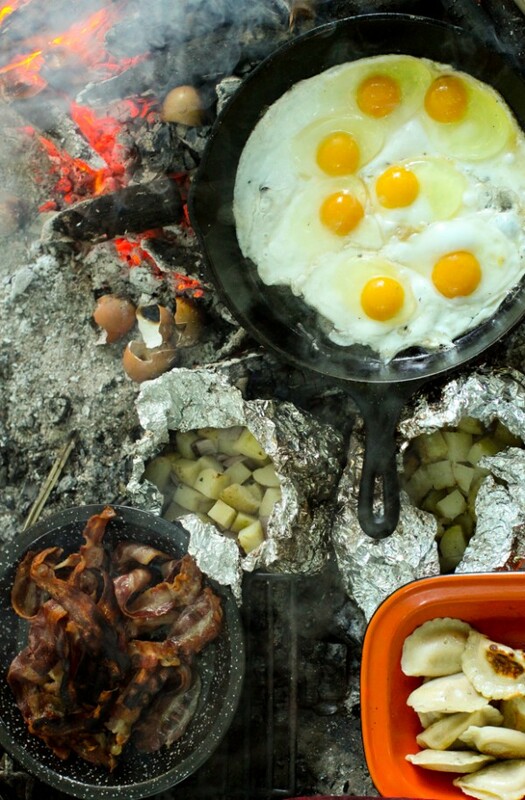 Either way, it is safe to say that food is an important part of a camping trip. 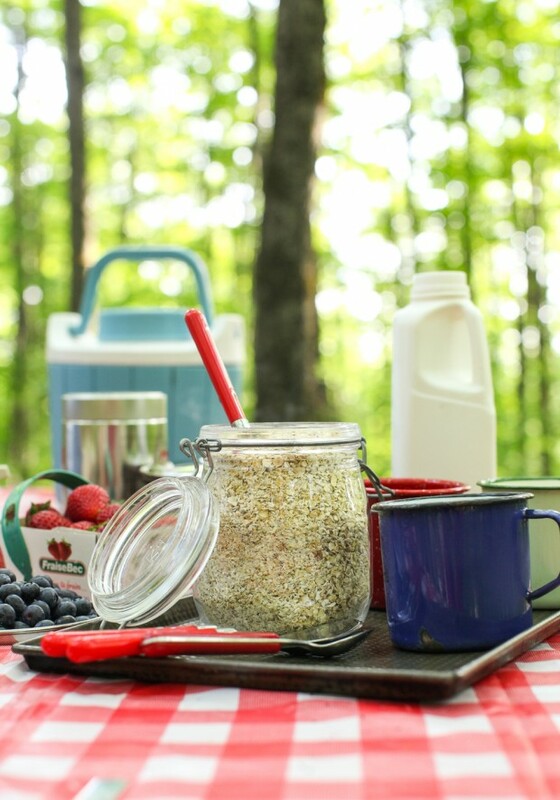 Camping breakfast starts with homemade instant oatmeal and local, seasonal berries. Later there will likely be bacon, eggs and sour cream & onion potatoes, but at six-thirty in the morning, boiling water for cereal and coffee is the best I can do. Fortunately, boiling water is all you need to do to enjoy a bowl of my children’s favourite camping food: their morning oats. This homemade instant maple oatmeal with ground chia seed is one of the best items you can pack for a simple, yet satisfying breakfast. The chia helps to thicken the oatmeal as well as contributes an energy boost for the morning on the trail. And if it’s bacon and eggs you crave, do them over an open fire for maximum smoky flavour and serve with a side of Smoky Sour Cream and Onion Potato Packets. I prefer potatoes to bread for an accompaniment to eggs. They don’t go stale, for one thing, and you’ll never find them squished under the camping gear. Oops! My policy for camping lunches has always been ‘fend for yourself’. Cold pancakes, vegetable sticks, crackers and peanut butter, fruit, cheese… Maybe we’ll simmer a package of soup or pasta if we’re just sitting around the fire, but more often than not we’re hiking, fishing and generally on the go. Dinnertime is when we regroup with friends and cook a big meal together around the campsite picnic table. Our whole family is pretty crazy about Campfire Toasted Burritos, but simple hamburgers or sliders are a favourite, too. Everything has to be done over an open fire, which gets easier as you practice. Knowing the keys to successful campfire cooking helps, too. 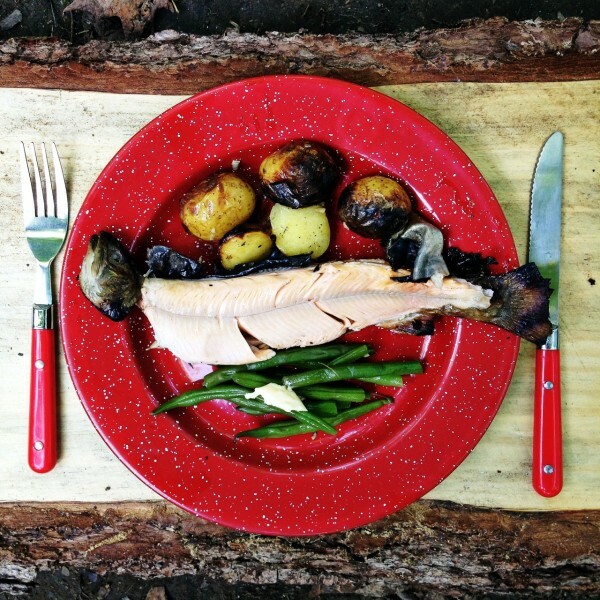 Fresh trout makes a splendid camping dinner and cooked over an open fire is camping food at its finest. Forget hot dogs, this is what supper in the great outdoors should look like. I always stop by a farm stand on the way out to the country and pick up ingredients for a huuuuuge summer salad. They vary from year to year, depending on what I find, but here’s all the salad inspiration you need to compose your own. When you are camping, it’s fun to roast a sausage on a stick and wrap it in a tasty bun. 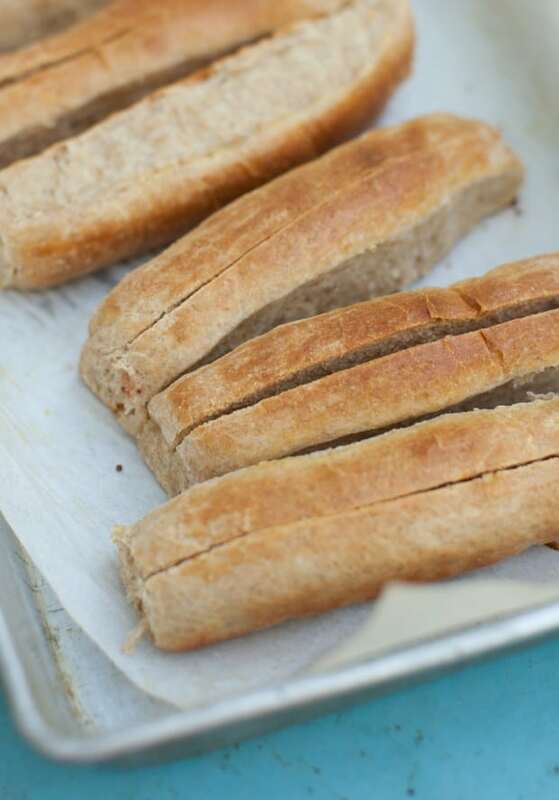 My soft whole wheat hot dog buns sure pair nicely with a smoky Merguez and a forkful of homemade zucchini relish. Last but not least, the Sausage & Vegetable Foil Dinner is an ideal dinner if you don’t want to spend much time cooking, yet want to serve a meal that’s wholesome and satisfying. 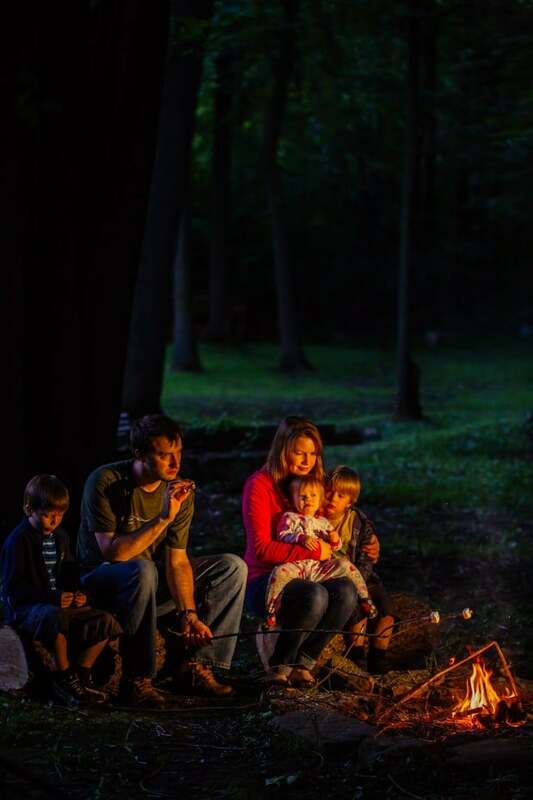 Get the kids involved with collecting firewood and adding the ingredients to the foil packages, then play a game of Frisbee while dinner bakes on the coals. I happen to like washing camp dishes. Give me a pretty view, dapple sunlight on the table and tune in the happy voices of children playing among the trees, and I am perfectly willing to clean up. 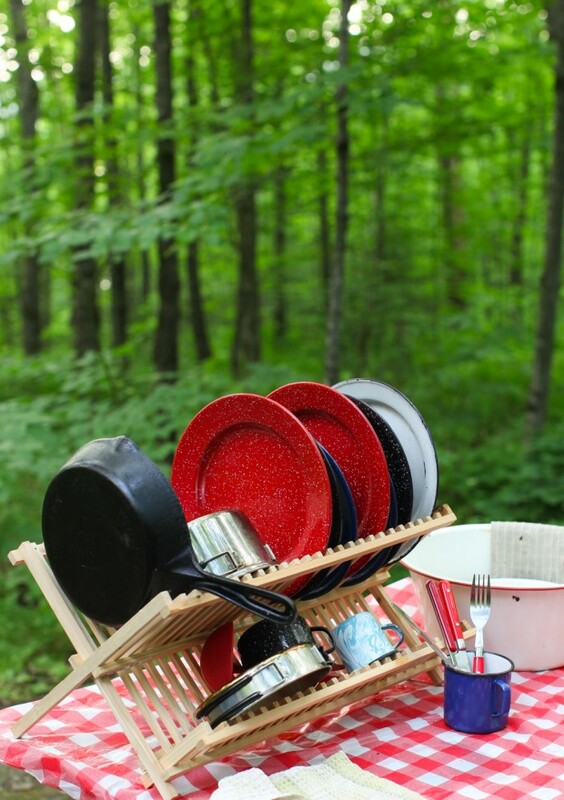 I also have a method which I shared last summer: how to clean camping dishes the easy way. They say food tastes better when you are camping. Perhaps it’s the smoke from the open fire, perhaps the fresh air that stimulates the appetite, at any rate, I don’t know anyone who turns down dessert at the end of a day. My cookbook has my go-to marshmallow recipe, a fluffy maple variation that is made from scratch many times over the summer. Paired with graham crackers and dark chocolate, it’s the perfect sweet finish to the day. We also love baking fruit in the campfire coals. 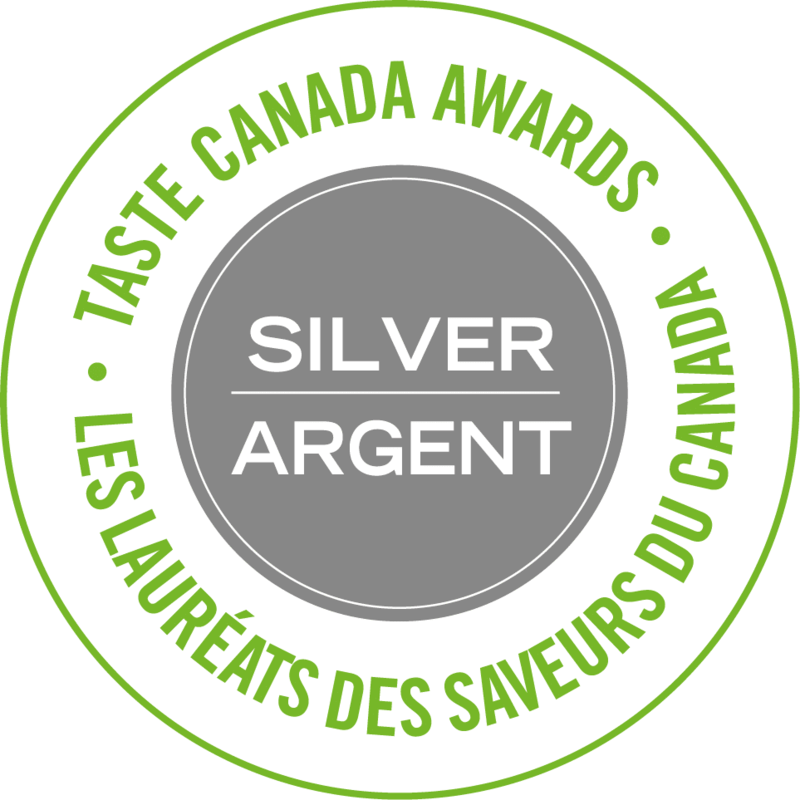 It might be maple baked apples, chocolate banana boats or caramel roasted peaches, slowly roasted to perfection. Share a camping tip, recipe or story in the comments below! i love this! I really want to take a couple shorter camping trips with the family this summer. How do you keep the food cold when you camp? Cooler and new ice everyday? A large cooler, Angela, yes. And a few ice packs or bags of ice. But we don’t pack a lot of perishables. Milk, eggs, sausages…maybe cheese. So do you clean the fish and stuff when you catch it? I know that’s a silly question. I love the idea of catching fish and eating it that night but I honestly don’t know what the in-between steps are. I do! 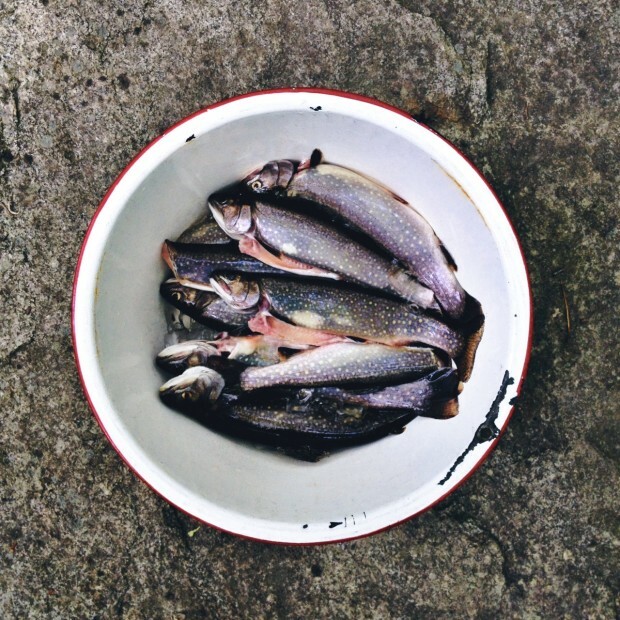 It’s something I grew up doing – gutting fish – so it’s not a big deal. It’s actually really simple to remove the entrails, it takes about a minute or two, and then I leave the rest of the fish intact. I’m sure there are some great YouTube tutorials on the subject. Yes, you do clean the trout before coocking it. You catch the trout then gut it and then clean it and cook it. You can cut off the head and take of you want but don’t have too. My hubby and boys actually just got home from their first guys trip this evening too. I loved seeing the pictures and videos, and even though I’m happy for guys trips, I kinda missed being there myself! I’ve shared a lot about camping too because it’s really one of my favorite things! One thing we do that helps for a quick start in the morning is to make and freeze several green smoothies before our trip. It’s just shake and drink in the morning at the campsite. Easy and a healthy way to start the day. Oatmeal definitely sounds delicious too! Also, just like you mentioned, have plenty of energizing and nutritious snacks with you. Apples and oranges pack well and are great on hikes. We also like fruit and vegetable pouches on hikes because they are always a good boost of energy and super easy for everyone to eat and walk with. Frozen smoothies — genius! I love all these ideas. 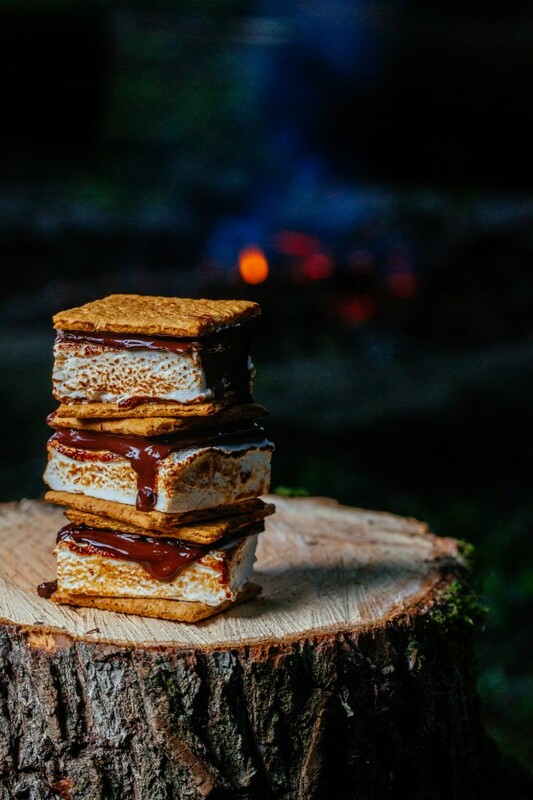 Aimee, how do you keep the chocolate from melting before you make the s’mores — keep it on ice? Heat is a huge issue down south… maybe less so where you are? Melissa, as long as we don’t leave it in the car during the day, it is generally fine. But then again, we are in cooler, shady campsites. I guess in ziplock, in your cooler is the best bet! Love the idea of a green smoothie to go, Lisa! Wow, sorry that was so long! What a fun post! 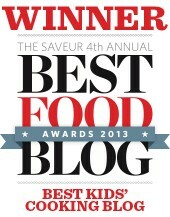 Great pictures by the way and I have got to try those burritos! Thanks for this post. It was just what I needed! We are going for our longest camping trip yet, four days, and I too wonder about keeping things cold that long. Also, do you cook your bacon in advance? Looking forward to cooking through the summer with you! We’ve been camping for weeks at a time. To keep foods cold, you need 2 ice chests. One for items like meats and fish ( that MUST stay cold!) and the others for things like cheese, fruits and veg that need “refrigeration”. The first ice chest layer in the opposite way of eating….so the meals you’re eating first, end up on top. And you need to get dry ice. Pack a thin layer at the bottom, and a thin layer at the top. Make sure the ice is wrapped in whatever packaging you get it in..paper or otherwise. Or rewrap it to suit your needs. And I cant stress this enough… WEAR GLOVES if you’re going to handle it! The other cooler, use ice as usual. Hope this helps, Enjoy the Great Outdoors! I hadn’t thought of dry ice for camping. I’ve only used it for homeschool science projects. 🙂 Thank you! Lydia, for longer trips I usually lean toward more dry goods that can be reconstituted. Pastas, ramen, grains and legumes. Also root vegetables that can be left at room temperature. I also try to scout out what is in the area for grocery. Sometimes there is a gas station or corner store where we can get milk or ice. I don’t cook my bacon in advance but you certainly could! I usually cook it up in a big cast iron pan, then save the grease for frying potatoes, fish and eggs. Our small car is always packed to bursting when we go camping with our family of five and I love the idea of sitting on your pillows. So obvious yet somehow that has never occured to me. You mum sounds awesome, Pippa! For the longest time, I prided myself in never ‘giving in’ during bad weather camping…but one seaside storm in Maine about 5 years ago made me eat my words. I’ve never seen lightning like that. A small mudslide filled our tent. My kids were PETRIFIED. We were soaked to the bone. We drive 30 minutes and checked into a hotel. The next morning the storm was all over the news and we learned it was the worst storm in 30 years. A tornado actually touched down several miles away from our campsite. It was quite the experience! I’m planning our first camping trip with our 3 year old and 8 month old and this will be so helpful. I’m certainly putting those hemp cocoa bites on our list! Oh Kari, what fun! I could do a whole post on camping with kids under 1. It’s challenging, but so fun. Keep us posted on how it goes! Your camping trips remind me of our time with our 3 boys. 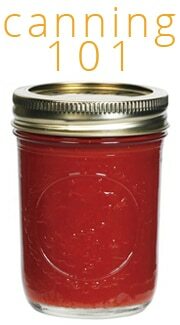 We would bring plenty of breakfast foods, eggs, bacon, tortillas, salsa, oatmeal, etc. Get them off to a great start. I would plan dinners, but sometimes you just shoot from the hip (AKA – catch of the day), otherwise we did an Italian night – homemade sauce pre-made – just boil pasta & grill French bread right on the coals – Oh, and plenty of burgers and sausages. But lunches were like pulling teeth. How do you get 3 boys and Dad to stop having fun on jet skis, boats, swimming or just playing with the local frogs, to sit still and eat? Answer- you don’t! They’ll eat whatever they find, whenever their hungry. 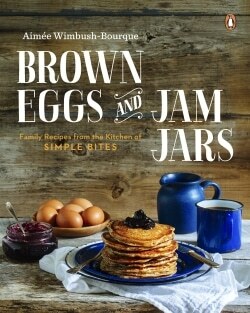 I just received your book, Brown Eggs and Jam Jars & The Canning Kitchen ( the other Amy) today. 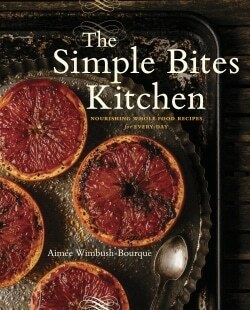 They are wonderfully photographed and are full of recipes I want to just dive into today. We also have backyard chickens, fruit trees and hopefully, a thriving garden this year. Have a wonderful Summer with your Family! This is all so mouth watering. I grew up camping every summer and can’t wait to start taking our kids again now that we live in Montreal. Thanks for the tips and ideas! 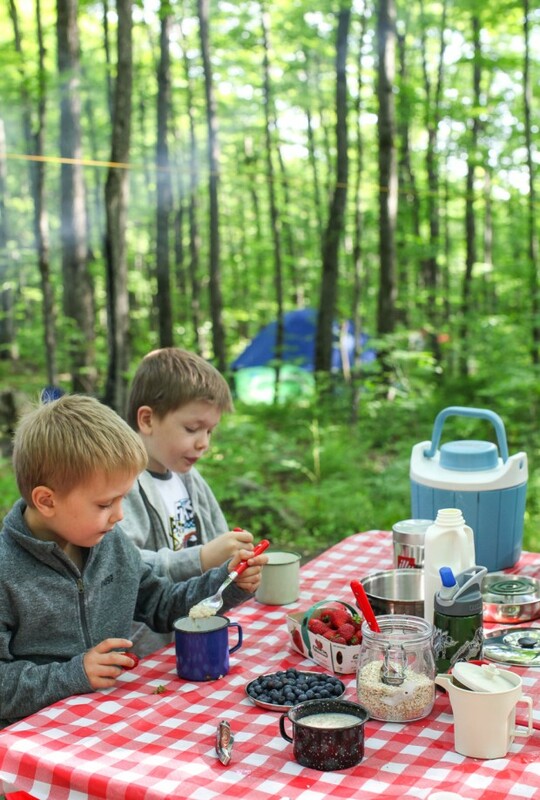 Montreal has some great camping destinations within driving distance. Cross border, too! We’ve loved our excursions in Maine. Inspiring post! When we camp with our littles we usually do a good amount of roughing it and compromising our typical standard of food quality. I have had a hard time finding a coffee making method that is space saving. I don’t love instant coffee and I have brought those drip tops you pop over your cup, but when making coffee for 6 adults it seems to take forever! These days I’ve been abstaining during camp trips!! Any advise? You NEED your coffee! Chocolate covered espresso beans…? Not very warming but effective : ) I’d perhaps try to find a canoe tripping coffee perc or espresso maker . They are space saving & lightweight. I have a glass Bodum press that nested fairly well in my milk crate kitchen box and you can pack things (like a ziplock of ground coffee) into it if you take it apart. Cold brew coffee & tea concentrate might also work! I think Aimee has posted about this technique. Okay, so we’ve been using an Aeropress for a few years. We used to pack a Bodum, but yeah, not so space saving. Definitely look up the Aeropress! And abstinence is NOT an option. I don’t sleep so well on camping trips (I’m a light sleeper and hear all the birds, campers, etc) and need my morning cup. We just took our 3rd camping trip this weekend and the 3rd time was the charm! (First 2 trips were dismal because of weather) We had a blast! My favorite meal this weekend was campfire nachos! In a cast iron pan I layered chips, retried black beans, pre-cooked taco meat, salsa, and cheese. I covered with foil and cooked over the campfire (took 30 mins with the pan set on the grate above the fire). At the table we served with guacamole, sour cream, and pickled red onions, so yummy! I need some more lunch ideas for our next camping trip to Yosemite in the fall. My family is so spoiled at home by hot lunches but the last thing I want to do while camping is fire things up for a third hot meal of the day! Just don’t pour the boiling (or very hot) water over the chia seeds or they will lose most of their goodness which is a pity. If you look closely, at the family in the last picture. They looks like they’re having the worst night ever. I can see it in their faces. Even while holding a smore. Poor guys. 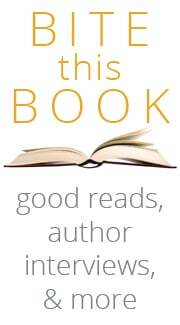 Stunning images; and great advice too. I reckon food eaten whilst camping always tastes better!